The holiday season has passed, but the freezing temperatures are still here reminding us that Spring is still a few months away. We hope that the famous groundhog, Punxsutawney Phil, will not see his shadow on February 2nd but if he does, it gives our commercial and industrial clients six more weeks to get ready for the warmer weather. 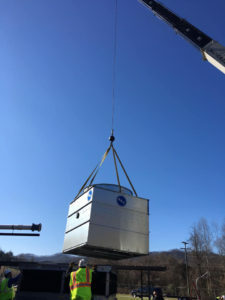 Mid-January to mid-February is the perfect time to call Comfort & Process Solutions to schedule your Preventative Maintenance (PM) for your Cooling Towers and Chillers. 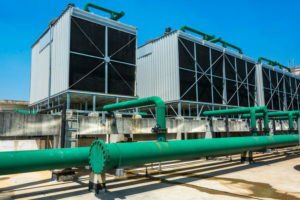 This is the time because these Cooling Towers and Chiller systems, that provide cooling comfort during the summer months, are usually down this time of the year so it would not require system shutdowns to analyze, maintain, or replace. 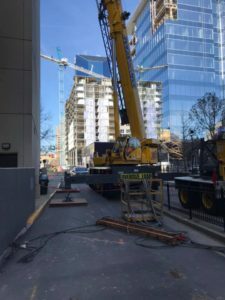 Also, replacement of whole systems or substantial rebuilds could take up to 8 to 12 weeks to order and ship out equipment as well as needed parts. In eight to twelve weeks’ time, these systems will again be needed to be up and running to efficiently cool the air for the heat of our early Bluegrass Spring weather. 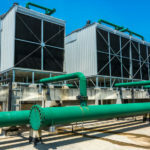 If your chillers and cooling towers are used for commercial or industrial processes (manufacturing and electric power generation), they are more than likely being used year-round, so PM shutdowns will require redundancy of equipment to prevent downtime. Our technicians can keep your business processes running smoothly with our equipment rental program. 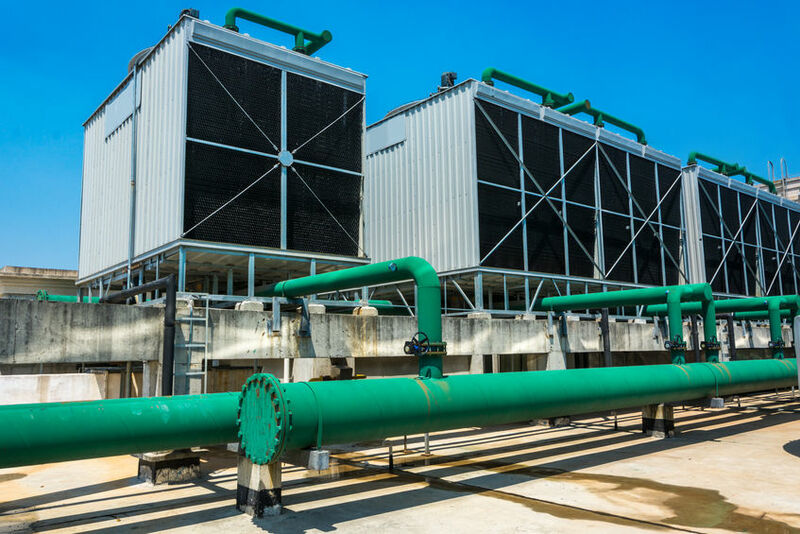 If your systems do not have redundancy backup or your equipment fails, we at Comfort Process & Solutions offer backup rental of cooling towers and chillers for our customers to prevent any unnecessary downtown of your industrial processes that require water-cooling or air-cooling. That way, we can provide a temporary solution to prevent production downtimes either during a controlled preventative maintenance shutdown or while you’re waiting on replacement equipment in the case of a comprehensive equipment failure. 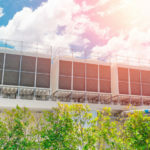 A cooling tower is a heat rejection device that rejects waste heat into the atmosphere through the cooling of a water stream to a lower temperature. Cooling towers may either use the evaporation of water to remove process heat and cool the working fluid to near the wet-bulb air temperature or, in the case of closed-circuit dry cooling towers, rely solely on air to cool the working fluid to near the dry-bulb temperature. Cooling towers that work efficiently can prevent damage to the ecosystem by cooling the water to an acceptable level before returning the large amounts of water to lake and rivers. Elevated water temperatures can kill fish and other aquatic organisms or can also cause an increase in undesirable organisms such as invasive species of zebra mussels or algae. 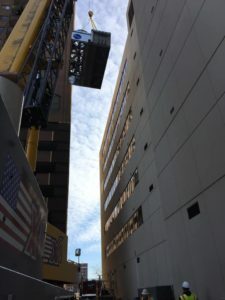 A cooling tower serves to dissipate the heat into the atmosphere instead while wind and air diffusion spreads the heat over a much larger area than hot water can distribute heat in a body of water. 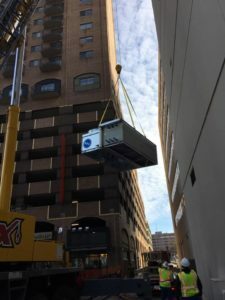 Air Conditioning with HVAC Cooling Tower are used to dispose of unwanted air from a chiller for the comfort of large commercial or industrial spaces. 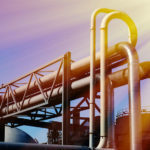 In industrial application, cooling towers are used to remove heat from various sources as machinery or heated process material in power plants, petroleum refineries, petrochemical plants, natural gas processing plants, food processing plants, semi-conductor plants, distillation condensers and cooling liquid in crystallization. Cooling towers could be broadly categorized as: Open circuit induced draft; Open circuit natural draft; and Closed circuit induced draft. A chiller is a machine that removes heat from a liquid via a vapor-compression or absorption refrigeration cycle. This liquid can then be circulated through a heat exchanger to cool equipment, or another process stream (such as air or process water). As a necessary by product, refrigeration creates waste heat that must be exhausted to ambience, or for greater efficiency, recovered for heating purposes. Air Conditioning with HVAC Chillers that use chilled water distributed to heat exchanges or coils, in air handlers, which cools the air in commercial, schools, organizations and industrial spaces. 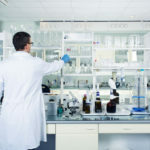 In industrial application, chilled water can be used for various processes including laboratory equipment, controlled cooling of products, mechanisms and factory machinery including plastic industries, injection and blow molding, metal working cutting oils, welding equipment, die-casting and machine tooling, chemical processing, pharmaceutical formulation, food and beverage processing, paper and cement processing, vacuum systems, X-ray diffraction, power supplies and power generation stations, analytical equipment, semiconductors, compressed air and gas cooling. Commercial chillers are also used to cool high-heat specialized items such as MRI machines and lasers, and in hospitals, hotels and campuses. 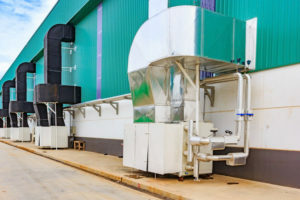 At the minimum, chillers and cooling towers are recommended to have a full comprehensive preventative maintenance check during off-season (if used for comfort) and during shut-downs (if used for process) at least once per year. We at Comfort Process and Solutions recommended a PM quarterly to ensure your equipment is running at optimal efficiency, lengthen the life of your equipment, increase the safety and comfort of your staff, as well as prevent unwanted and unnecessary production shutdowns. 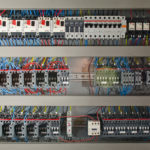 As we say in the business, you can either schedule a PM or let the equipment control your shutdowns. Online Reminders: Our staff has an online program to send reminders for recurring PMs on a quarterly, semiannual or annual basis, depending on your usage or your specific equipment manufacturer’s suggested maintenance schedule. When the online reminder is generated, our service coordinator will contact your staff to schedule the PM at your business’ convenience. Our online reminder program will remind you and schedule your appointment for you, rather than add one more task to you or your staff. 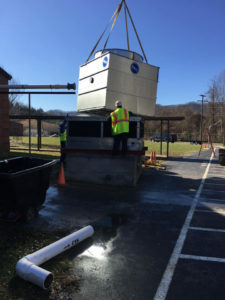 We have serviced the Floyd County Schools for nearly ten years, and our recommendation of replacing their cooling tower was approved in 2018, because their former system was insufficient in size and production to maintain the optimal comfort for student and faculty throughout the building. 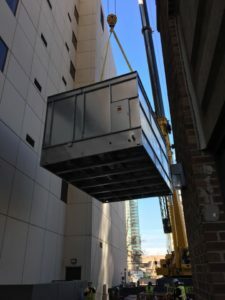 We worked closely with the end users, to redesign and replace their cooling tower system to implement a system that was more efficient, with recommended energy savings and recommended for their space. The heating and cooling systems would have to be turned off during the replacement process so we scheduled our project during the holiday vacation in December, so as not to interrupt the classroom schedule and ensure the student’s comfort when they returned to class in January. Our technicians are factory trained for Preventative Maintenance, Repair and System “Teardowns” (forensic overall of the equipment) of Cooling Towers and Chillers. We ensure our staff are certified and trained, attending various manufacturer’s classes where they learn the processes required for the annual tear-down, seasonal startup, preventative maintenance and the 40,000 hour overhaul of the various brands of equipment we service. Call us for a quote or fill out the form on our contact page.